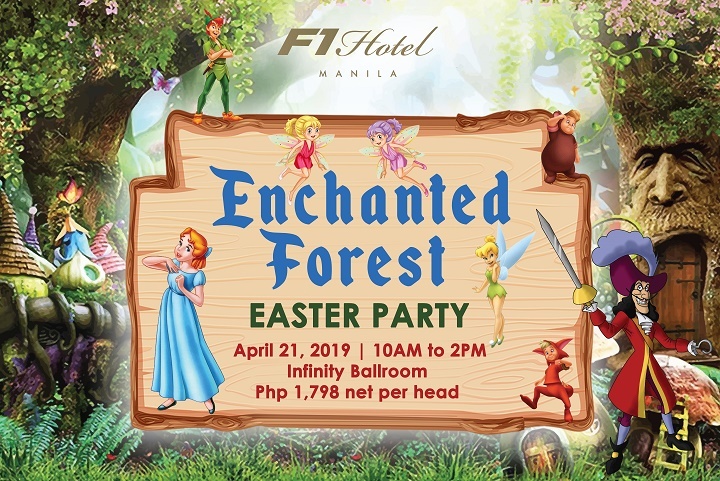 A magical and fun celebration is on its way this Easter Sunday, April 21, 2019 as F1 Hotel Manila sets an Enchanted Forest Easter Party from 10AM to 2PM at the Infinity Ballroom for only PHP 1,798 per person. Experience the grandeur of celebrating Easter with lots of activities that will surely dazzle the kids. The ticket is inclusive of buffet lunch for one person, access to game stations, photo booth, balloon twisting, face painting, egg decorating, bubble show, Easter egg hunt, loot bag and more! Make sure the kids are in their best enchanted character costume as they party with us and get a chance to win an amazing surprise! Hot, fresh, and deliciously fast! Indulge on a buffet a la minute as the chefs cook your Lenten selections on the spot. A pleasant dining experience is on hand with a selection of leafy greens, freshly prepared vegetables, fun toppings and delicious dressings to complete your Lenten traditions. For only PHP 600 per set meal, this is available from April 18, 19 and 20, 2019 at F All Day Dining.